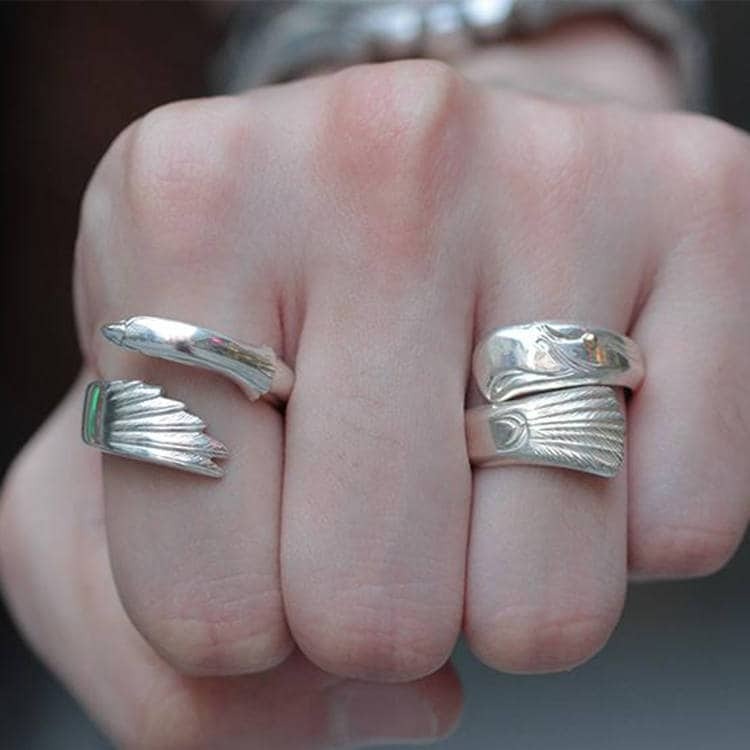 The silver eagle ring design is inspired by Native American culture. 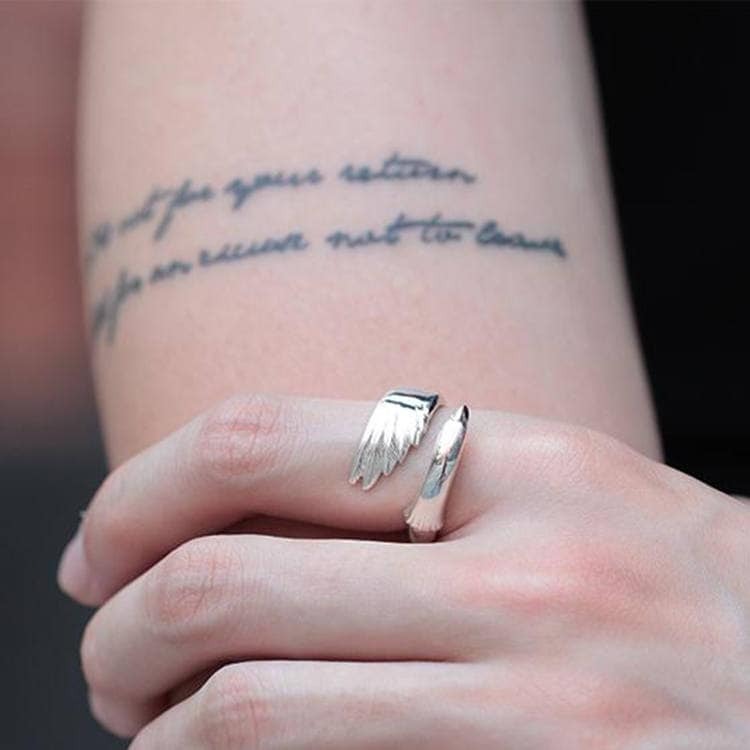 The bald eagle and its feathers, have a special place in the Native culture - symbolizing the spirit of freedom, protection, and wisdom. 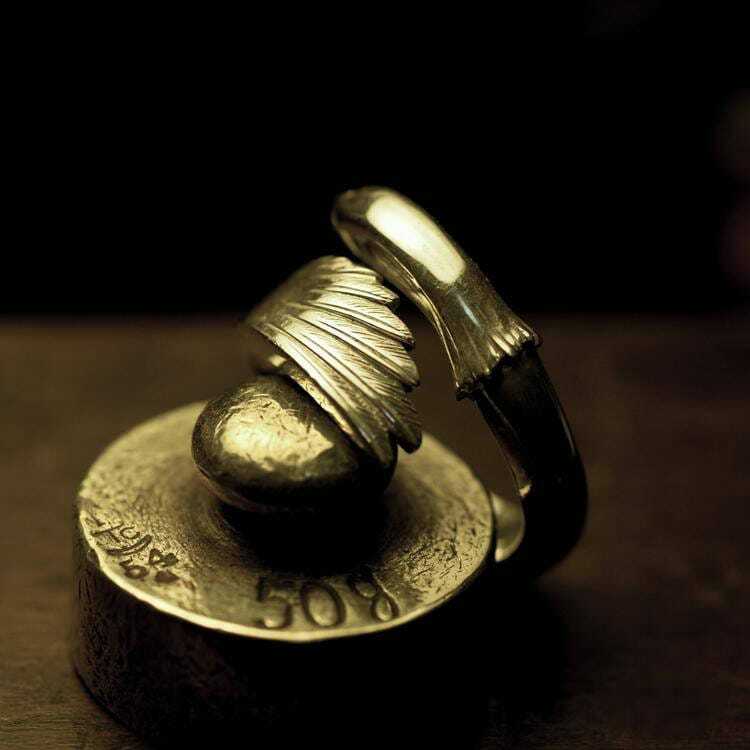 The ring is a tribute to this spirit. 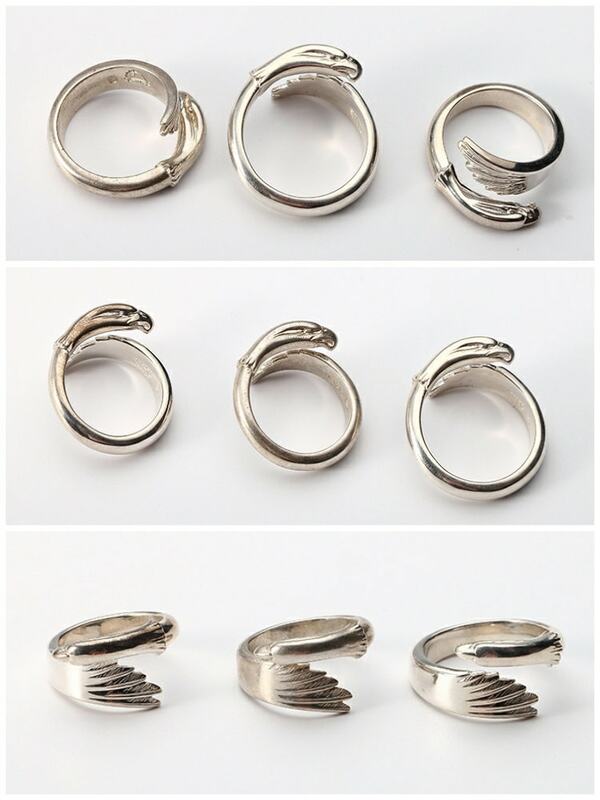 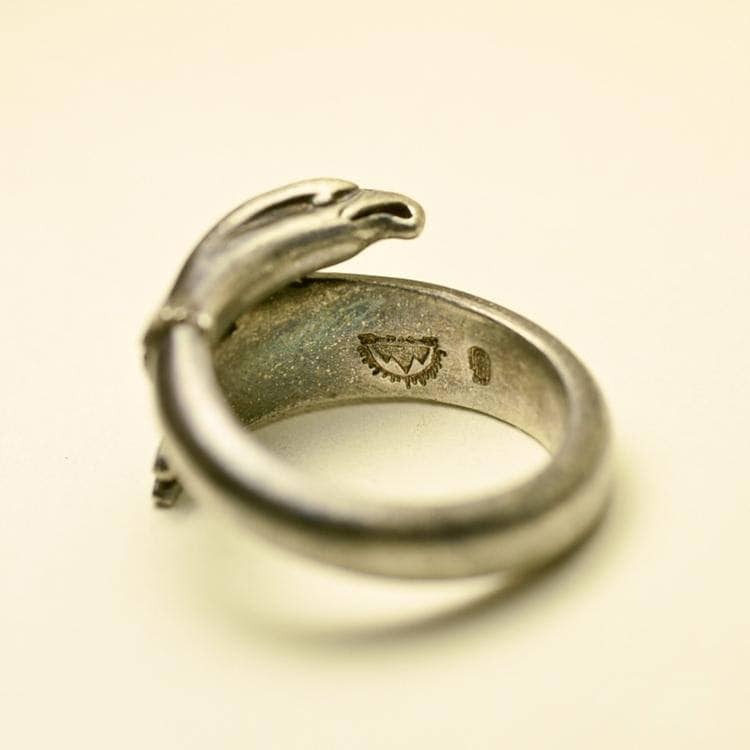 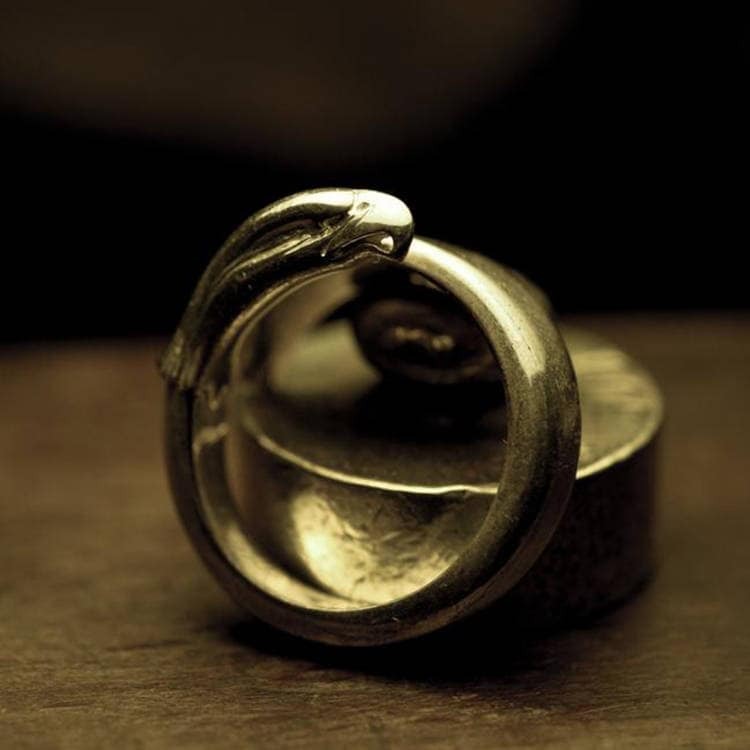 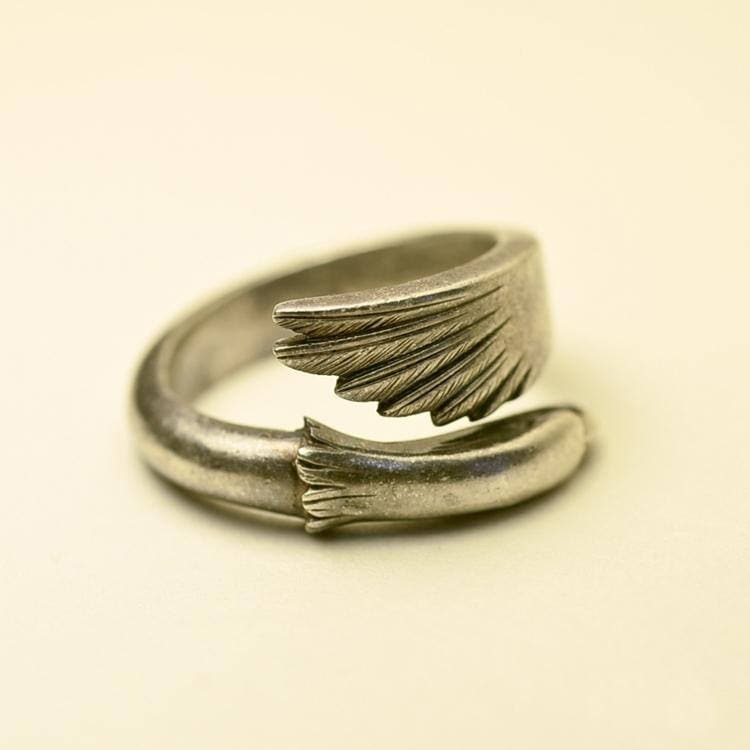 Carved in a unique style - the ring starts as a stylized silver eagle head, curves gracefully into the ring shape, and ends in a silver eagle feather. 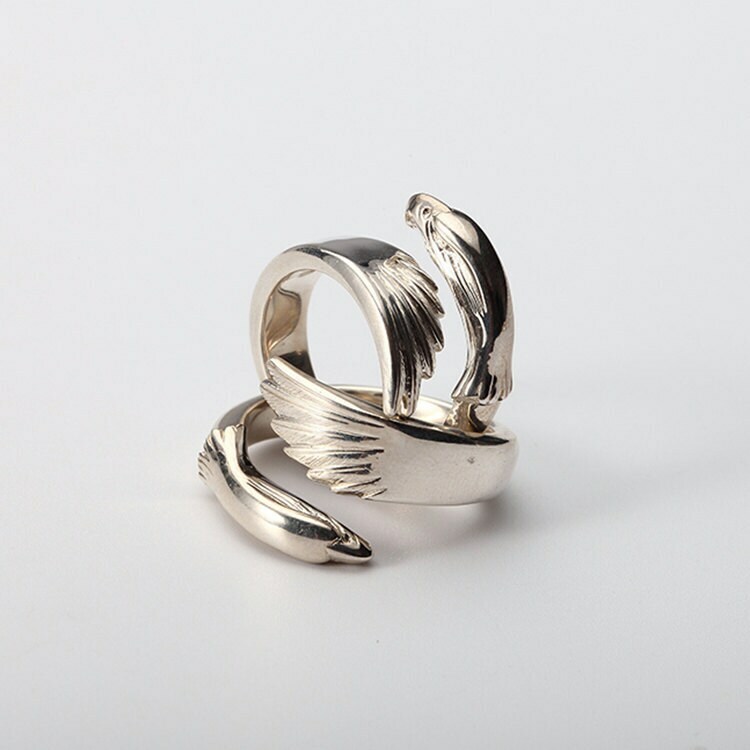 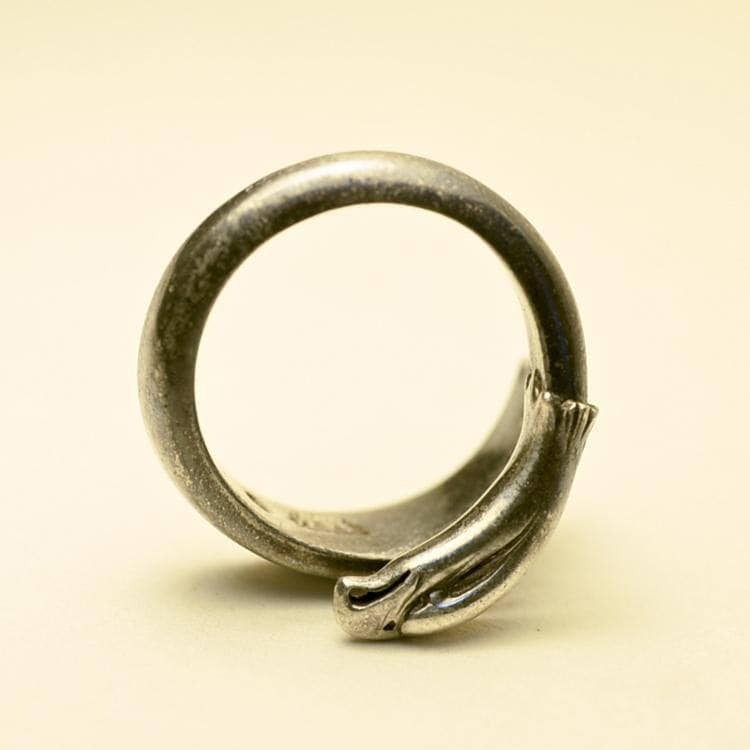 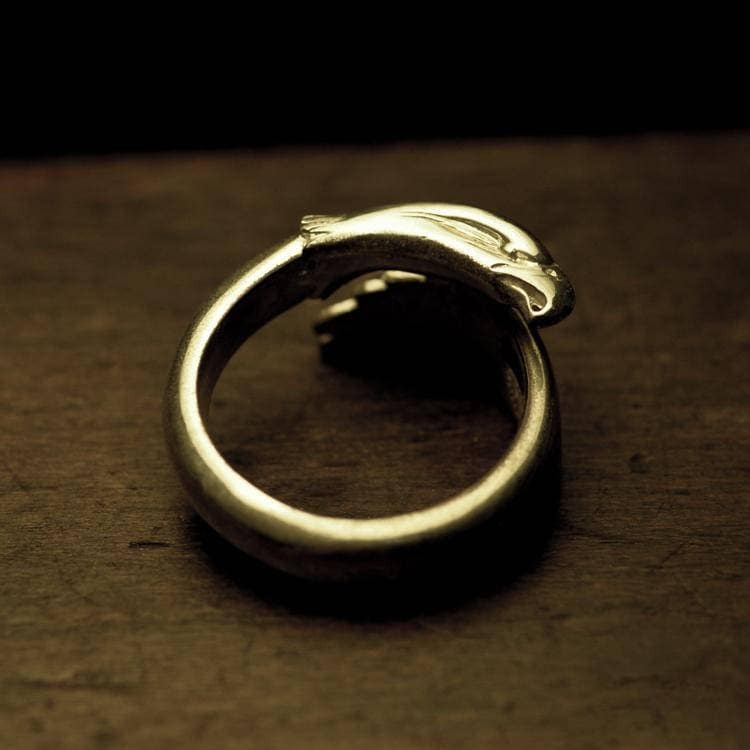 The silver eagle ring is suitable for both men and women.